Hands Up Top 20 going into the third round! For you the label "Big Beef" their twenty best tracks of recent years has put together. 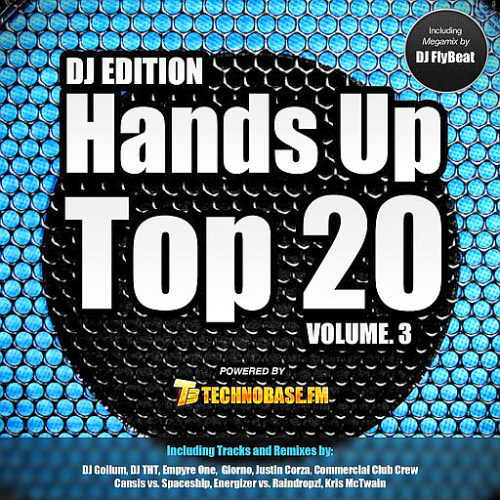 Is supported Hands Up Top 20 of Technobase.FM. We show you exclusively the tracklist of 28 December appearing sampler. In addition to the 20 tracks, which, incidentally, with so-called "full-Edits" come out as a DJ Edition, there is a 70-minute Megamix of DJ Flybeat. Reserve you can watch the 20 tracks + Megamix in the next few days! There you will find all our other releases that later this year on the market. Chris van Dutch is the legendary, genre-crossing producer and DJ who's been pounding out the electro-house hits with Tale & Dutch, while driving it home for hands-up fans as part of Commercial Club Crew.